There is nothing that is important to your business like fire prevention. It is a process that happens even before the fire starts. Inspection is one of the most crucial tools for fire prevention. Regular property inspection is so vital in fire prevention process because areas in your facility that are vulnerable can be identified and once they are detected; they can be fixed for the betterment. These areas include systems that are not correctly maintained, improperly stored materials and electrical outlets that are overloaded. Immediately these problems have been detected; the next crucial step is to eradicate the threat and making sure things don't turn that way again. Fire prevention cannot be a successful process if the business premises are not installed with the appropriate Fire prevention system. For those who live in Toronto have nothing to worry about because Max Home Security is available to help you choose the best systems for you and help you install any fire prevention system you may need. Whenever you want to purchase these systems, we recommend you consider the following for maximum safety. Consider choosing fire prevention systems that are automatic. Don't go for manually operated because fire may break when there is no one around the property. The system should be self-contained, and this means they don't need the power supply from the outside. This ensures that the business is under protection even if there is power loss. Purchase the systems that are approved by the known safety and consulting agencies.That why purchasing from Max Home Security is of the significant advantage because the systems and services we provide are approved. If you don't choose the right company to install your fire prevention systems, they may be installed incorrectly hence making them not to work as they are required. We Building Security Systems, fire and more so life safety systems for your home and business. These systems ensure the welfare of the business, home and the safety of the workers is taken care of. The fire systems that we build have field devices that mostly do not need shielded wire, which in return makes them less expensive and easier to install. We customize the systems to specific requirements to facilitate and take care of the risks that may arise from daily operations. We also specialize in testing and servicing the fire systems to make sure they work correctly as they are supposed to do. Exit and emergency is a requirement for every commercial building in Toronto. 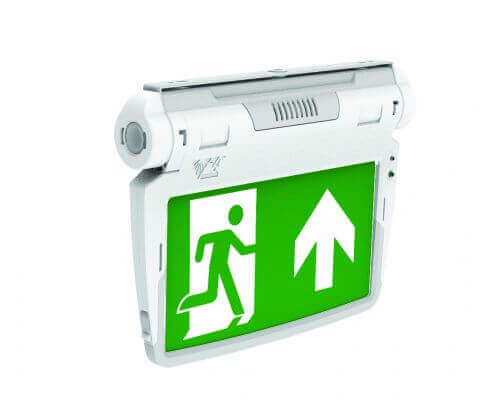 The exits must be illuminated by emergency lights and without forgetting the pathway lights. The LED technology can be used to illuminate the emergency lights. Among the many factors contributing to the overall safety of the building are the exit and emergency lighting. Illuminating the exit light is crucial at every moment. Proper exit on every floor of the building with proper lighting always enables people to see exactly where the exit is. The exits should not have any obstacles for people to have a safe escape. Near the exit ways, lightings should be installed to enable people to see the exit sign. 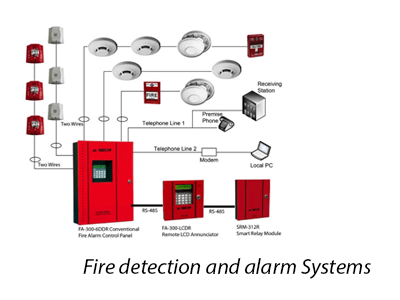 The fire alarm systems are responsible for detecting the occurrence of fire in your business or home. The alarms alert you before the fire spreads to the whole premises.You can avoid the stresses brought about by the fire damage by making sure your buildings are installed with reliable fire alarm system. We install these systems at an affordable fee because we believe this can save more compared to the fee you pay. 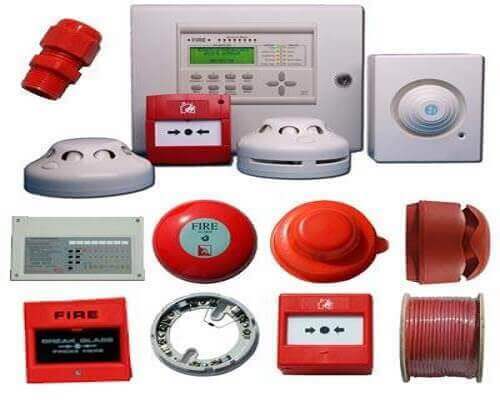 If required, we can combine your fire alarm system with your burglar alarm system. Having these two systems combined can offer maximum protection to your home and business. If you are interested in protecting your home or business with ideal fire prevention system, Visit or call Max Home Security. We are proud to offer services that are of high quality to our clients. Our fire protection services that we provide will make sure that everyone in your business or home is taken care of until the firefighters arrive to make sure the situation is in control.